As we begin to experience milder temperatures around Boston, you might be relieved to finally open some windows and enjoy the fresh air. However, your chimney just went through a lot during the winter season and you might not realize how it impacts structure or performance. First, let’s talk about the freeze and thaw cycle. You’re familiar with the roadways and damage that occurs from freezing and thawing temperatures, which results in potholes that everyone loves to hate. Water damages concrete over time, resulting in cracks, chips, and other structural issues. This concept isn’t much different with your chimney. During the winter, the elements and cold winds eat away at the mortar. This eventually makes the chimney structure break down and even crumble away by the time spring arrives. You might even discover that your chimney is leaning, which is another sign that the freeze and thaw cycle is impacting the chimney’s structure. 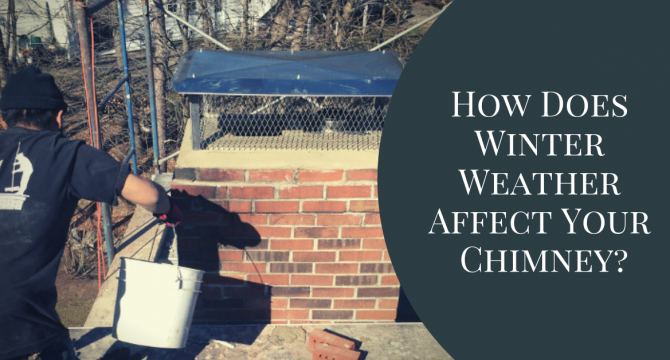 Why Can Your Chimney Deteriorate from the Freeze and Thaw Cycle? There is science behind why freezing and thawing is bad news for your chimney. According to Concrete Experts International, concrete can begin to deteriorate once moisture saturates 91% of its pores. When water freezes, it occupies 9% more space than unfrozen water. When the pores can no longer contain the moisture, cracking and deterioration occur in concrete and mortar. Spalling – This is when pieces of the brick’s surface fall off or become damaged. This is more than just a cosmetic issue because the bricks support the structure of the chimney. If this breaks down, the chimney can begin to fall apart. Rust – If moisture leaks into the chimney, this can cause the damper or firebox to rust. Cracked chimney crown – A chimney crown protects your chimney from the harsh winter weather. When the crown cracks, it allows water to make its way down the chimney and into your fireplace. When water mixes with chimney soot, it can cause corrosion. Preventing water from penetrating the surface of the chimney. This is possible with a variety of chimney services, such as installing new flashing and/or waterproofing. If you notice signs of damage, call a chimney inspection company immediately. Taking care of the damage before it gets worse can save you from further deterioration or even collapse. Schedule a chimney sweep and inspection each spring to examine the state of your chimney after winter weather. 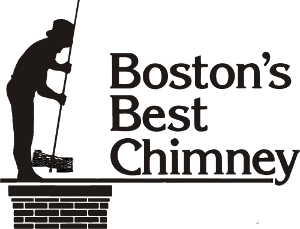 Now that spring weather is here, contact Boston’s Best Chimney for your annual chimney inspection. We’ll help you identify damage from winter weather and make repairs for a top-performing chimney. Give us a call at (781) 893-6611, or book an appointment online!